While camped in secluded Austerlitz, NY we ran across the state line to civilization, namely the small town of Stockbridge, MA. 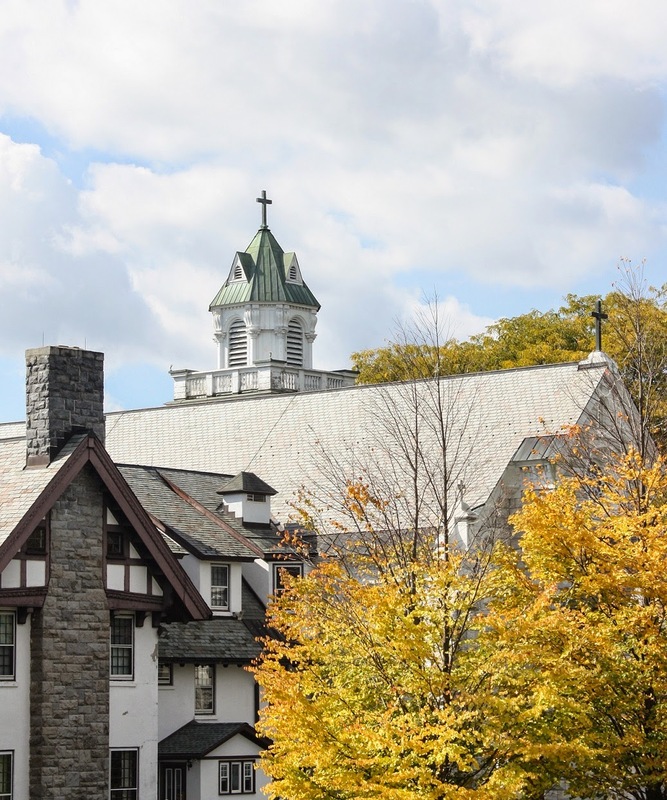 Among other things, Stockbridge is the location of the National Shrine of Divine Mercy. 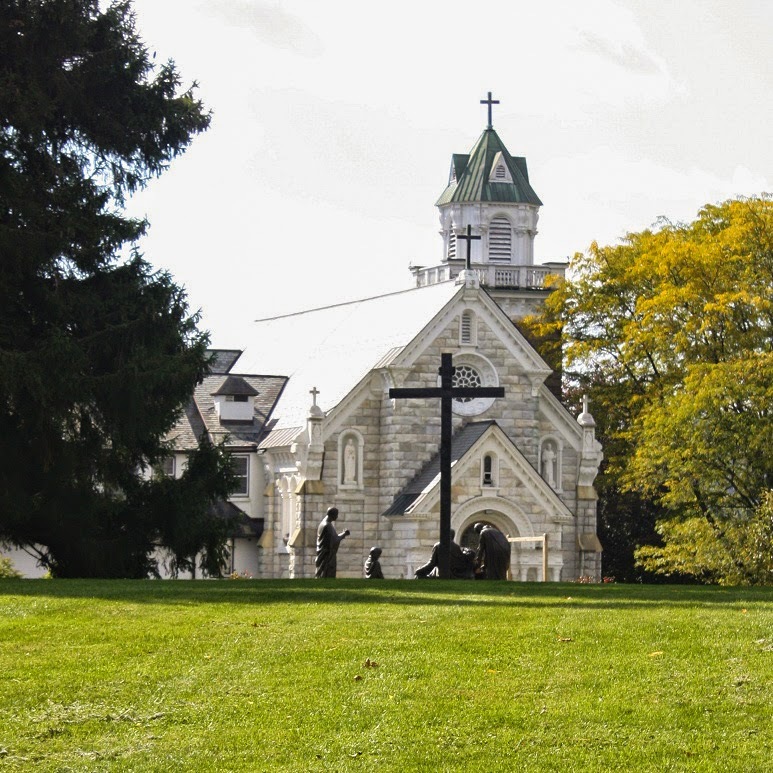 The whole purpose of us going to this part of Eastern New York/Western Massachusetts was to visit this shrine. We felt part of a tradition that goes back thousands of years - the pilgrimage. 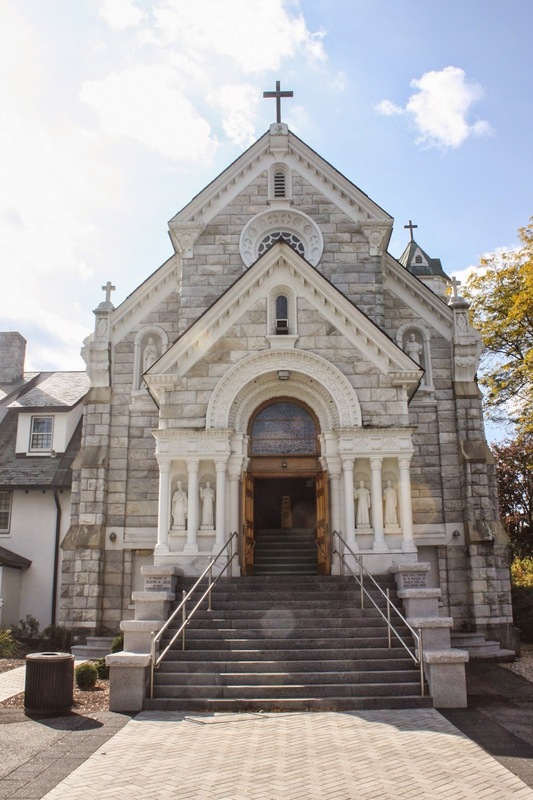 The National Shrine of The Divine Mercy is a ministry of the Marian Fathers of the Immaculate Conception of the Blessed Virgin Mary. Interior of the church at the Shrine. Services are almost continuous here. Hundreds of people come to the shrine daily from all over the world. It is not uncommon for a couple of buses to be loading or unloading in front of the Shrine bringing groups from churches. The grounds at the shrine are marvelous and well kept. Bell tower on the church at the Shrine. I think the autumn is a particularly popular time at the Shrine as the country here is ablaze with color, the air is clear and cool. 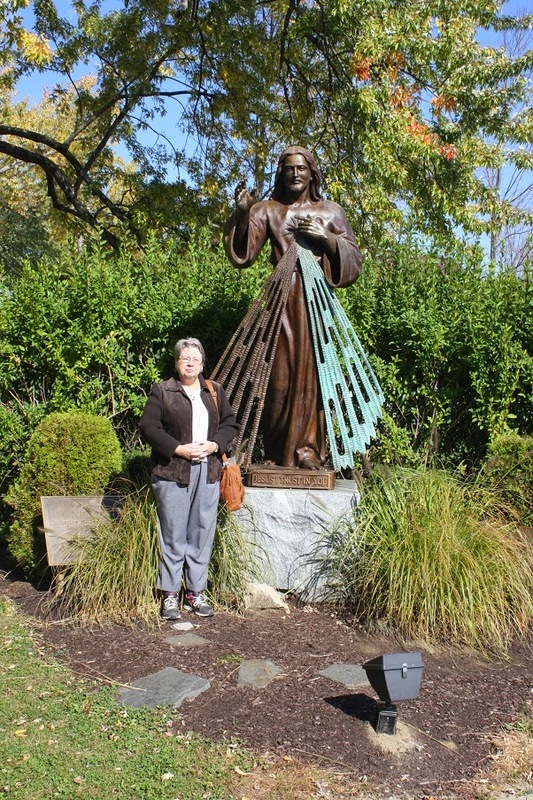 Joanie at a statue of Divine Mercy on the grounds of the Shrine. 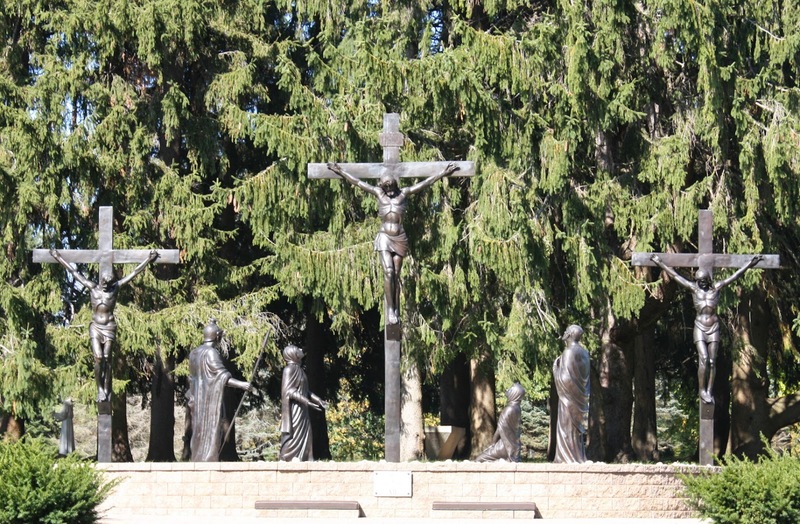 The Stations of the Cross are life size representations at ground level. They are very moving.